Having smooth and soft legs during the hot summer months is definitely one of those things a lot of us want to cross off of the list for a longer period of time. But when the countdown is on most of us struggle to find the perfect option without spending a small fortune. Finding a permanent solution on the market it’s tough but luckily the lovley people from Braun reached out to me in order to introduce you to the new Braun Silk-épil 9 SkinSpa &FaceSpa. This new series which not only convinces through its design it also comes with a lot of new features. 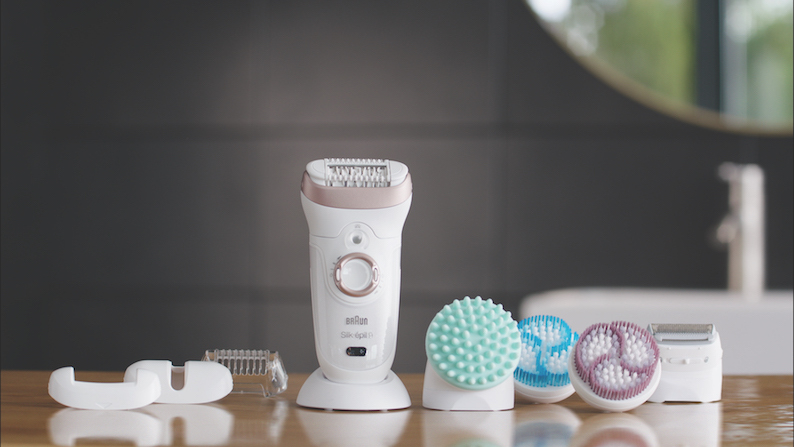 It’s a fact that this advanced epilator is more powerful, quieter but also able to catch more hair (thanks to the micro-grip it catches even short hair as short as 05 mm). It’s so quick and easy that you really don’t have to run the shaver over and over again and with the help of little light it’s so much easier to see every hair. Depending on your personal preference you can choose between two speed seetings (the lower setting might be the better option if you are new to the epliator world). As you can see this amazing tool, which only takes one hour to charge and can be used wet or dry, also comes with different exfoliation brushes (blue = for deep exfoliation to help avoid thoses dreaded ingrown hairs, purple = for more sensitive areas for the whole body – except for the face). I also love that you also get a deep massage pad which we all know is always good to improve your skin appearance and blood circulation. The other great product is definitely the Face Spa. 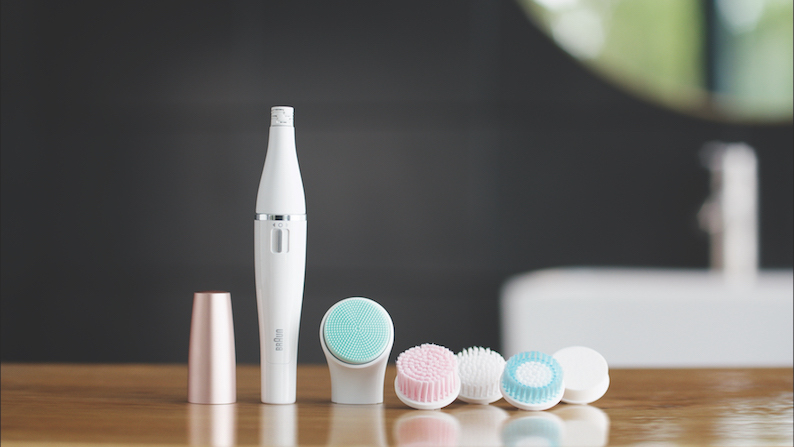 It’s actually a combination of an epilator and a cleansing brush with precise epilation and pore deep cleansing which comes in 4 types. You will get the epilation head, the facial brush, a protective cap and a little cleaning brush for brushing away your hair. Depending what you need you only have to switch the interchangeable head and you are good to go. Besides the fact that it’s waterproof the Braun Face Spa is designed to give you the pecision to epilate just about anywhere on the face. You should make sure that your face is clean and that you should always pull skin very tightly. Of course it’s not 100% pain free but in order to achieve a beautiful glow and smooth skin it’s definitely one of the best options. So if you are interested head over to www.braun.de/stoppelfrei where you can save up to € 50. After purchasing a Braun product you simply have to fill out a form, print it and send it back via mail until the 31st of August. You will find all the detailed information on their site.